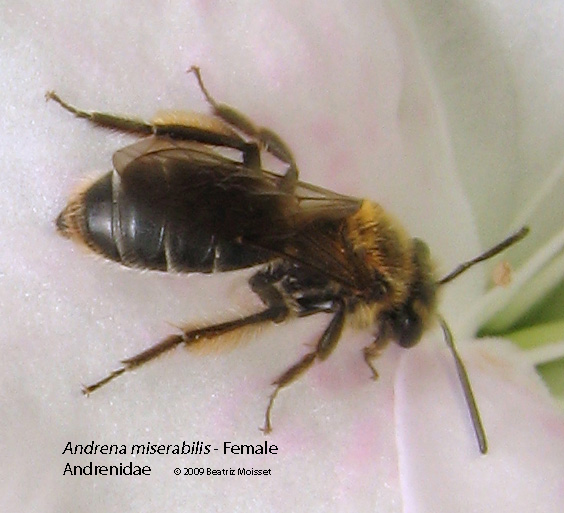 Andrena bees, in the family Andrenidae, usually emerge early in the spring from their underground nests. Most of them are gone by the middle of summer, although a few can be found later in the season. The early andrenas visit spring beauties, azaleas, trout lilies and other spring flowers. 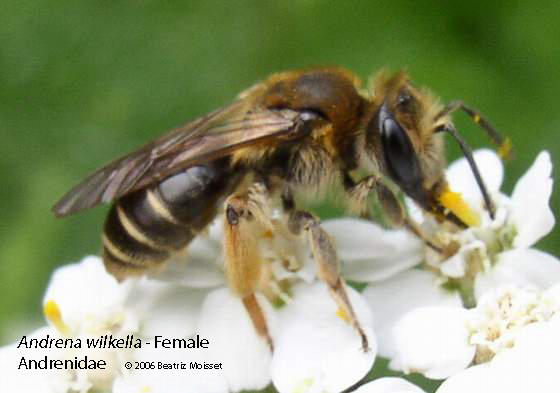 The males tend to spend the night in groups clinging to flowers or leaves. 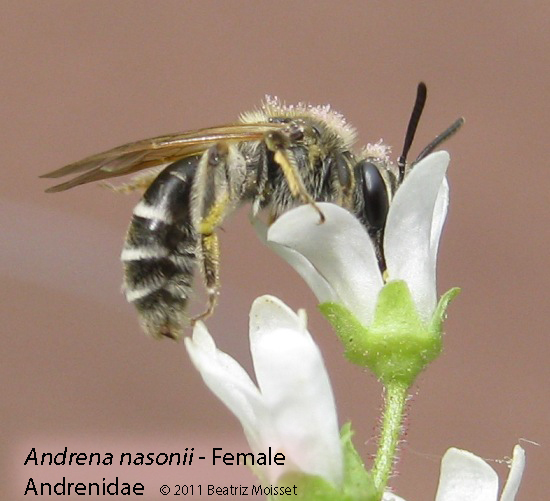 Andrenas are smaller than honey bees. 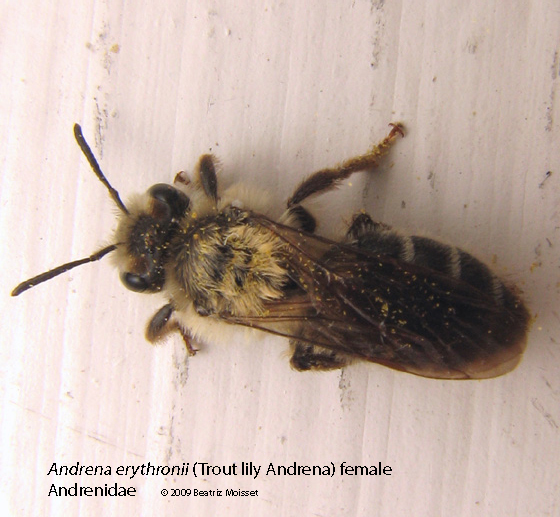 They have two hairy patches on the face, between the eye and antenna. 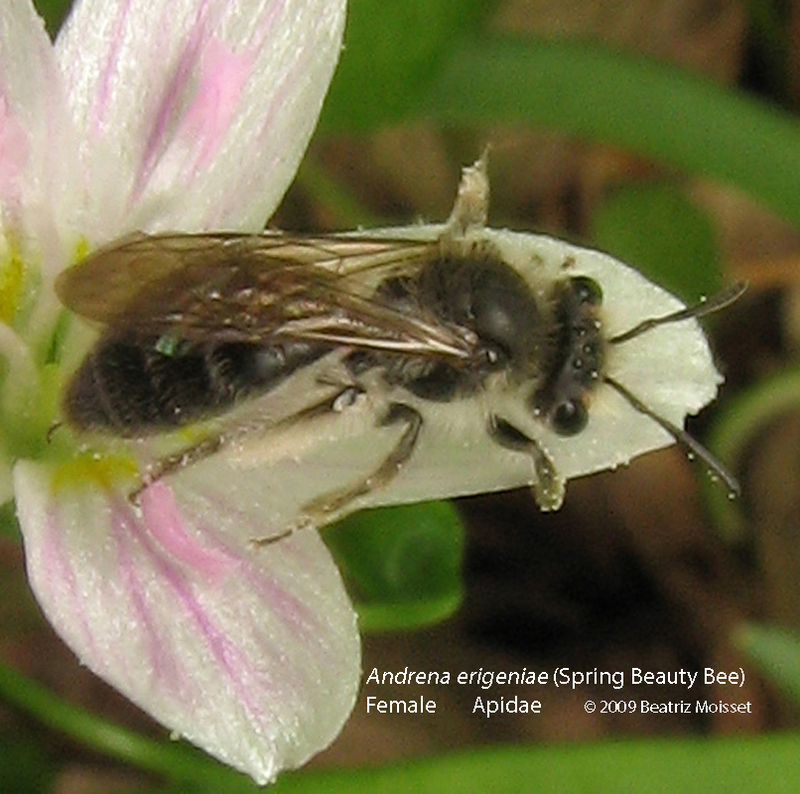 The spring beauty bee is a very early bee that visits flowers of spring beauty, as its name suggests. It is black and rather small and slender. 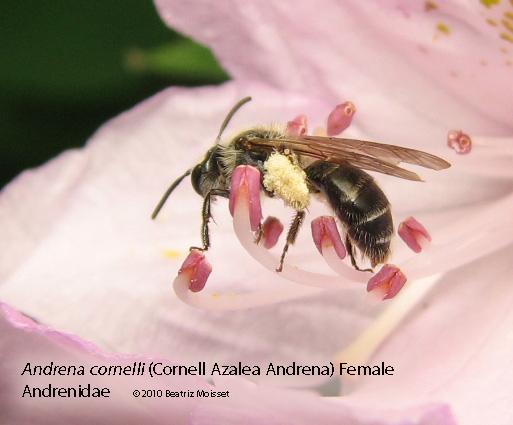 If you see an Andrena bee visiting the flowers of azalea or rhododendron, you can be almost certain that it is the Cornell Azalea Andrena. 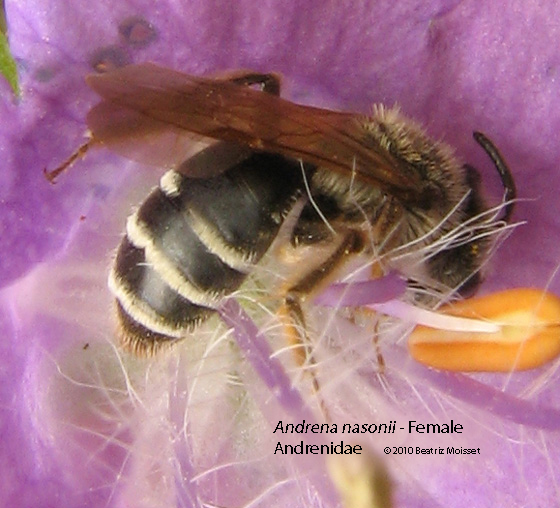 The hairs of its pollen carrying brushes are longer and wider apart than those of most other bees. 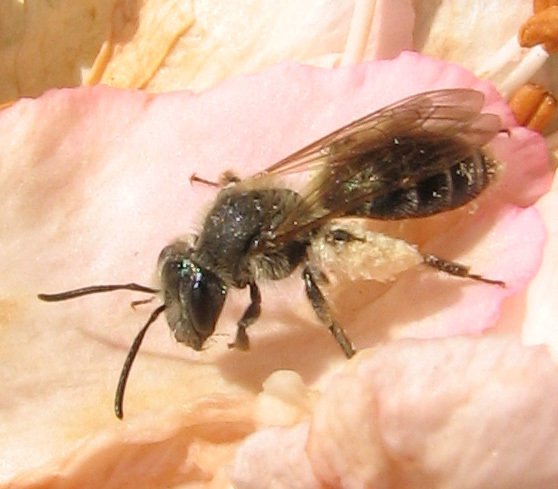 This is an adaptation to the large pollen grains of these flowers. Habitat. Fields, gardens; forests, before the leaves shade the ground. 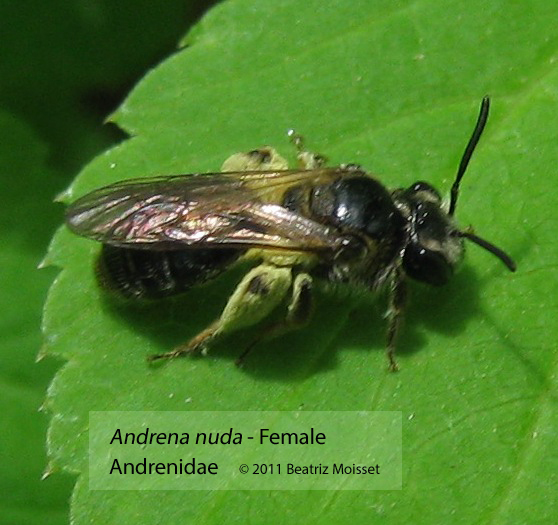 Often seen in gardens where they nest in lawns. Season. 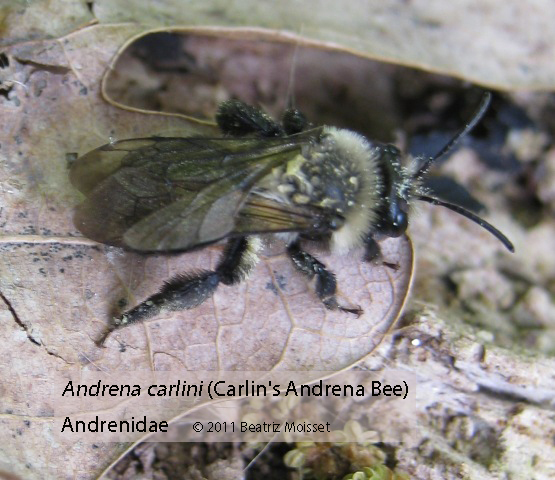 Most numerous in early spring; they can be seen also in the summer and even in the fall. Flowers. Early spring flowers such as spring beauties, trout lilies, azaleas and many others including fall flowers such as asters and goldenrods. 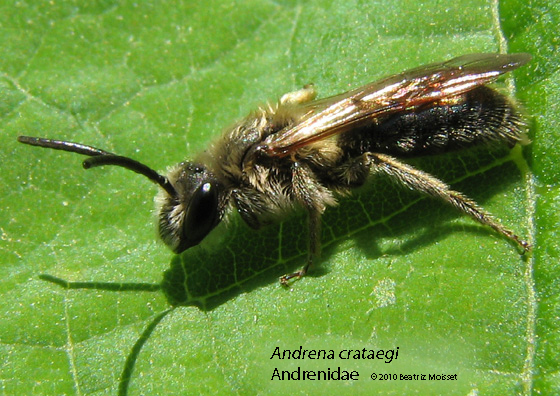 You are currently browsing the archives for the Andrena category.